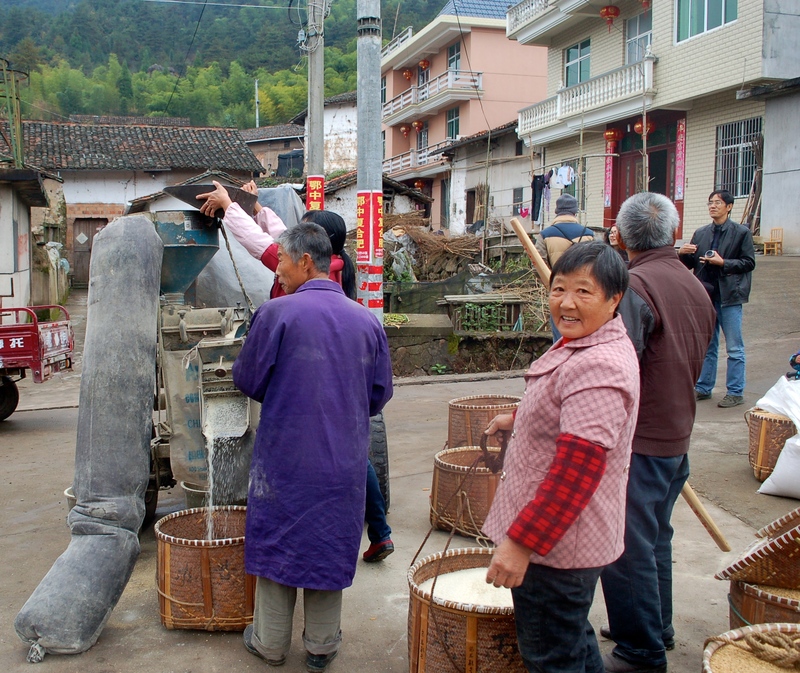 ← Urban-to-Rural Migration: From Business Marketing in Beijing, to Fish Farming in Sichuan? 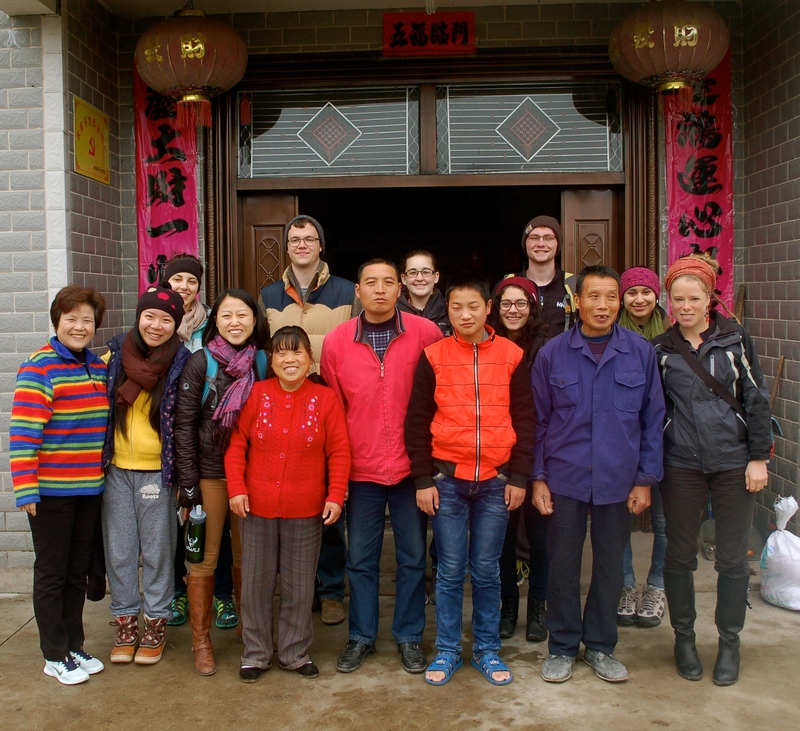 I returned to Suichang last week as an assistant to a professor I met at a conference last summer who hired me as a mentor for a group of US undergrad students she lead on a month-long trip across China. 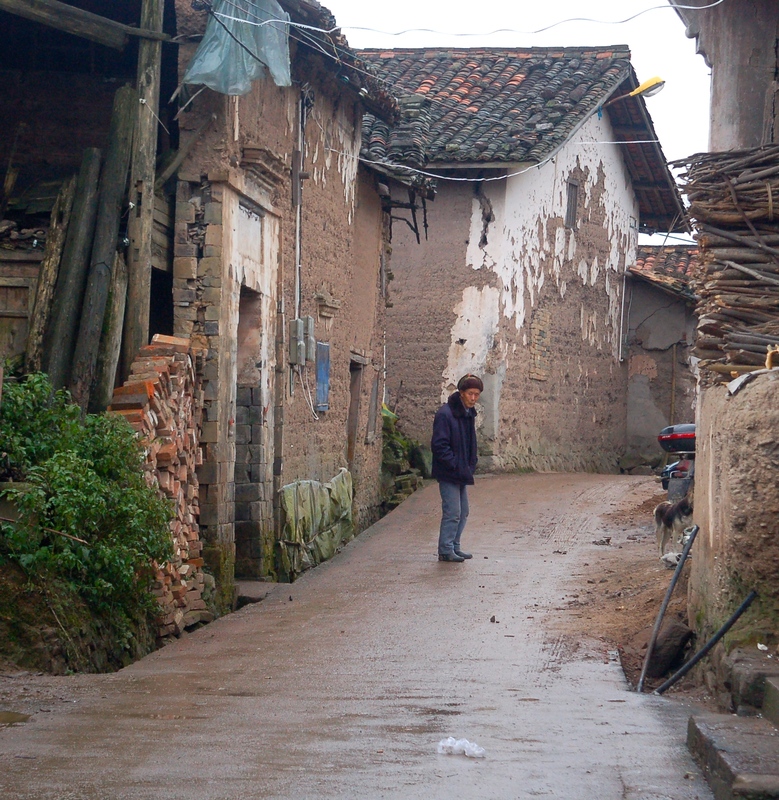 After visiting Lanzhou and Hangzhou, the final rural leg of their journey was Suichang County, where I conduct my own research on Zhejiang’s ‘poverty alleviation resettlement’ program. My contact from Suichang’s Party School was their primary contact and guide as well, and he arranged for us to spend the week in Suichang’s Gaoping township, where we had the opportunity to explore a range of innovative local institutions, cooperatives, and enterprises that are transforming economic development in the area, and transcending the mainstream western concept of the relationship between state, society, and the market. “To seek truth from fact” (实事求是) is a phrase I learned from Wei while in Jilin, and it has stuck with me because the initiation and proliferation of new economic models, along with rapidly evolving political institutions and associations at the community level – like what we saw in Gaoping – are an underemphasized yet key aspect to the state’s resilience and adaptability, and as such, they underlie China’s potential impact on the global debate about models of development. “To seek truth from fact” implies that receptivity to on-the-ground generation of local knowledge and practice is a more rational approach to development than formulating plans and regulations founded on pre-existing theories and ideologies. Take, for example, the apparent contradiction between achieving economies of scale (aka economic efficiency) and protecting basic livelihoods. In China, this debate is more than a battle of ideologies among academics; it is a high-stakes struggle involving the conflicting interests and competing claims over resources between powerful actors like transnational agricultural corporations, Party officials and policymakers from the central to the local level, and small-scale peasant farmers. This is because, on the one hand, the small family farms brought about during the rural reforms in the early 1980s (when rural land, still owned by the collective, was divided into noodle plots and allocated to individual households) cannot operate efficiently within the national and international market system. Yet, on the other hand, (and contrary to popular belief that rural farmers are ‘tied to their land’), China’s high population relative to the amount of arable land means that most farmers rely on their land as a subsistence resource, and therefore it cannot be treated simply as a production resource. 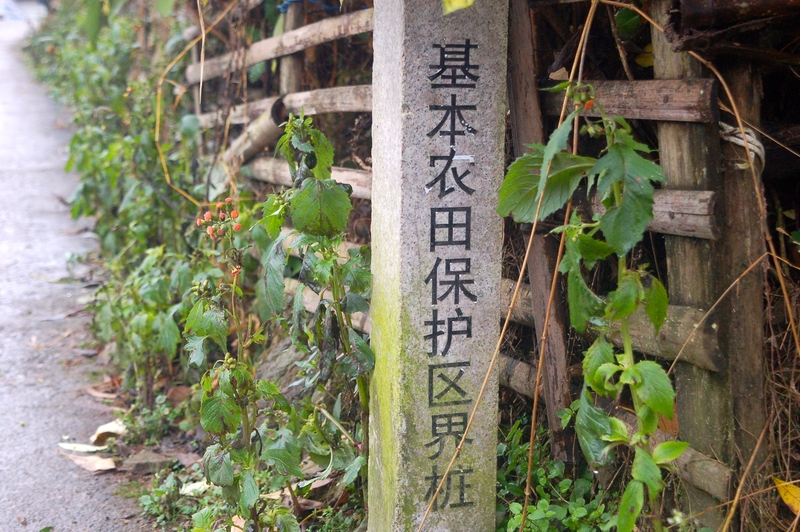 Beside the boundary marker above, a local man indicates the land in Gaoping that is protected from development. It is this contradiction between the ‘small peasant household’ and the ‘big market’ that has catalyzed the New Rural Reconstruction Movement (NRRM) as a solution to overcome the rural crisis or sannong wenti*. For those connected to the movement, this means building cooperative and community social relations that go beyond the interests of the individual households and their mediation by the market. Reconstructing rural community culture and social relationships around cooperation rather than competition enables villagers to scale up their operations while protecting themselves against the exploitative behavior of market forces and state actors (Day, 2008: 57). Which brings me back to “seeking truth from fact”: if NRRM is an alternative to the ‘utopian marketization’ of rural society, what does the heart of the NRRM – cooperative relations, rural experimentation, and institutional innovation – look like in practice? In Gaoping, we had the opportunity to speak with local officials and village leaders, and to visit the homes of villagers that are part of a ‘peasant home and tourism’ cooperative association (nongjiale, 农家乐), as well as an organic farm cooperative, and a new e-commerce shop – all of which reflect new experiments in rural development. First, some background on Gaoping township is necessary to understand the demographic, socio-economic and environmental context in which these enterprises developed and now operate. 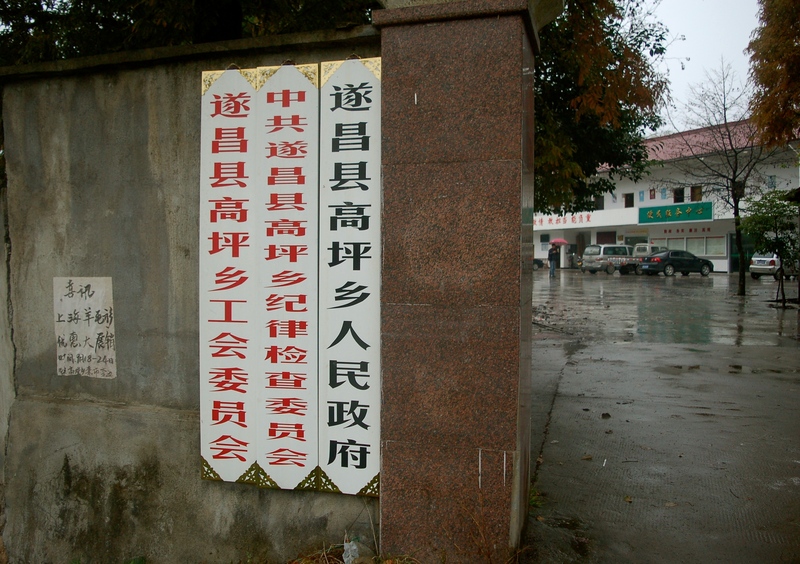 The township Party Secretary provided this overview, before describing how the ‘peasant home and tourism’ cooperative association led to the ‘Four Unifications’ model, a model that has proven so successful it is now promoted across the prefecture. To avoid one massive run-on blog, I will cover the organic food cooperative and e-commerce shop in two upcoming posts. A few years ago, the name Gaoping was interchangeable with ‘remote and poor’, the Party Secretary began. 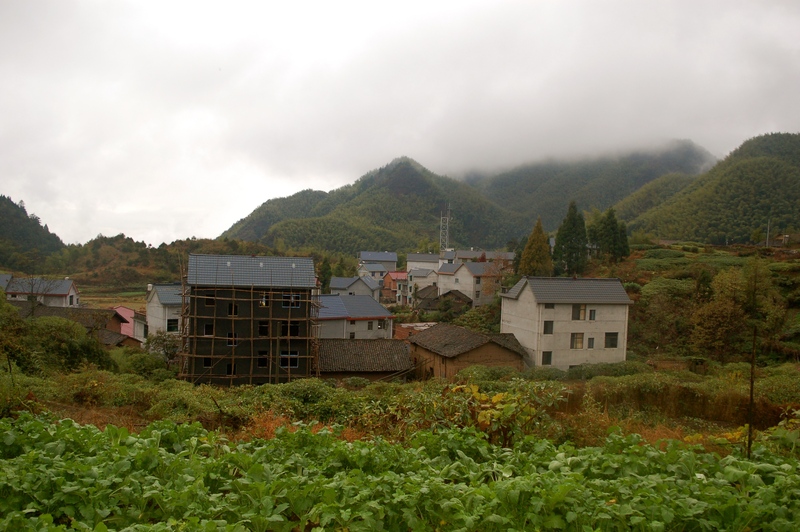 The town, which is composed of six administrative villages, is set high in the mountains (one of the highest in Suichang), the winters are cold, and infrastructure and transportation are still developing. 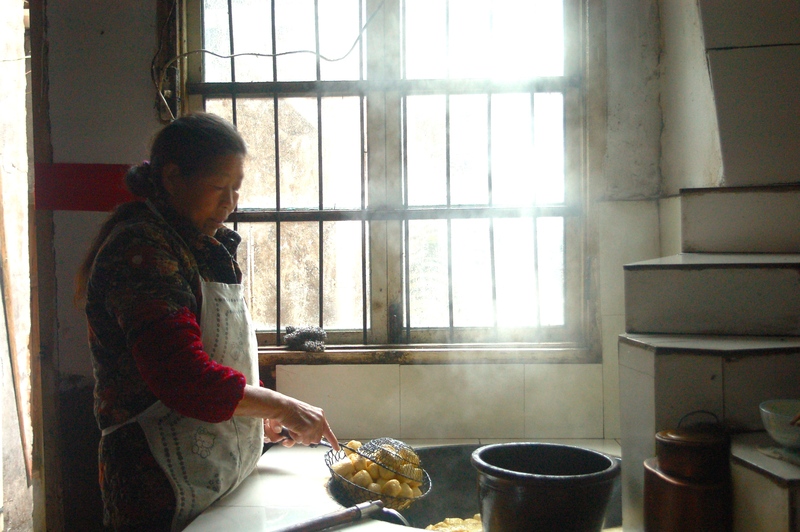 Up until five years ago, the peasants mainly relied on three cash crops for income: high mountain vegetables, bamboo, and a type of Chinese medicine. Or, they sought work as migrant laborers. The tourism began with azaleas. Every April and May, over 10,000 mu (1,650 acres) of these flowers are in bloom, and in 2008 the villagers and local government together started to promote it as a ‘leisure-oriented’ tourist destination. At that time only scattered, individual households opened their homes for visiting tourists, and the town was unprepared for the amount of guests that arrived – tourists couldn’t find places to eat or sleep. In the next stage of development they built family restaurants – the community hadn’t yet promoted the idea of staying for more than a day so tourists were only looking for something to eat. When the community decided to encourage tourists to stay for longer, they built larger homes with extra rooms on the second and third floors to accommodate more guests; the original houses in the village were old – they were made of clay and dirt and usually only had a small number of rooms (like 4). Next, they contacted a travel agency in Hangzhou. The first group of overnight tourists to arrive were a senior citizen’s group – they came for six days and five nights. It was a huge success, but the villagers realized the fee they charged was really low – only 45 yuan per day, including food and accommodation. Considering not just cooking, but also the time and effort to take care of the clients, there was not much profit. It was at this point that they decided to work together as a cooperative association. They arranged a ‘roster system’, so each family didn’t have to cook for each of their guests every day, but one family would cook for an entire group of tourists one day, and the next day the following family would cook for all the tourists and so on. This way, rather than competing with each other, they could share resources and scale up their services. It is this type of cooperation that led to the ‘Four Unifications’ model. 1. 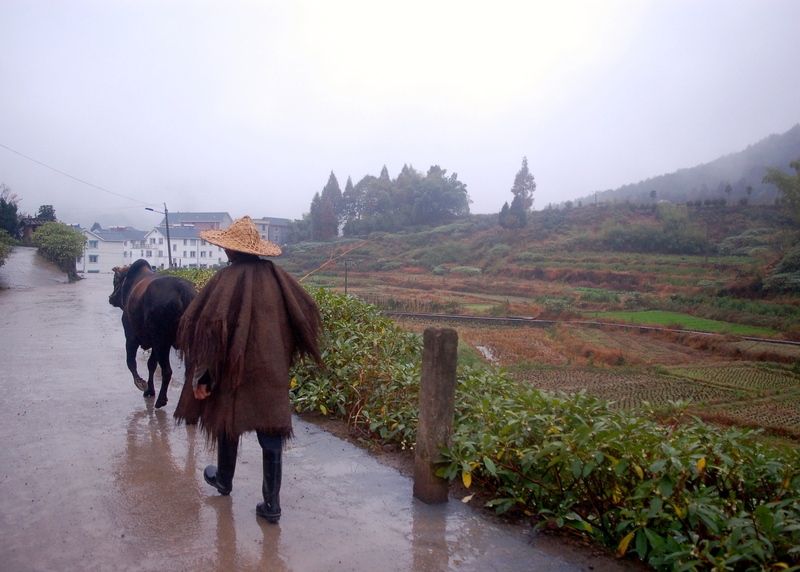 Unified promotions: each nongjiale cooperative association promotes their tourism services collectively as a village (five of the six admin village in Gaoping have nongjiale cooperatives) through contracts with travel agencies in Shanghai and Hangzhou. 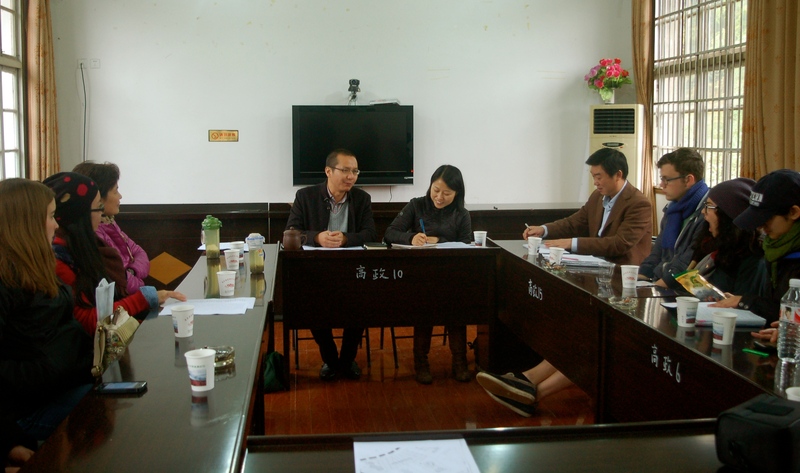 The Suichang County government’s ‘tourism committee’ acts as a sort of middle man to create these connections with the travel agencies, and promote the area as a tourist destination at expos or other events in the big cities. Without the platform or human resources, it would be very difficult for the villages to make this connection on on their own. But once the connection is established, it is up to the villages and travel companies to work together on promotion. 2. Unified Reception: each nongjiale cooperative association then distributes the guests among the households in their village as fairly as possible. This is not just about preventing one household from profiting significantly over the rest, but also to foster sustained growth- if one household attracts more clients than the rest, but is unable to accommodate them all, the clients may have a bad impression of the village and be less likely to return. 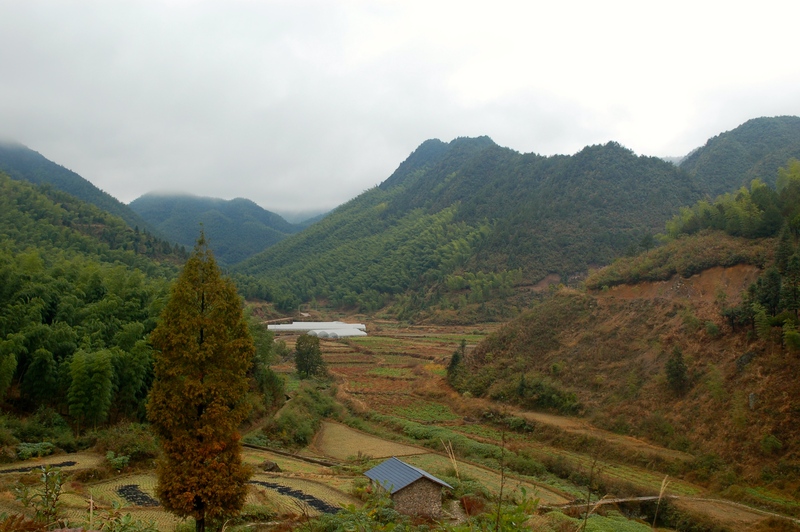 Although each nongjiale cooperative works to fairly distribute the clients their village receives among the households, the tourist agencies do not try to distribute clients evenly across the five villages. 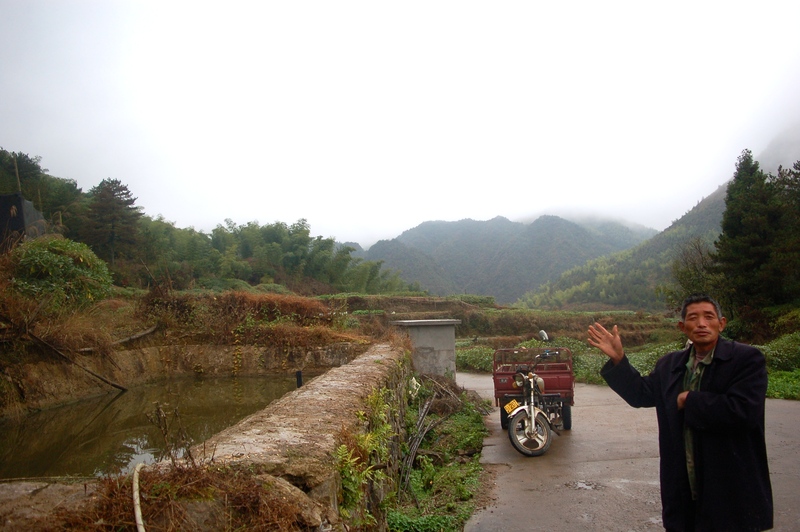 Rather, the clients choose themselves which village they want to visit, and this is where the cooperative model meets the market: the five villages are all at different altitudes, so the village at the highest altitude will be most popular during the peak of summer, and when that village is saturated, the ‘spillover tourists’ will flow down the mountain. 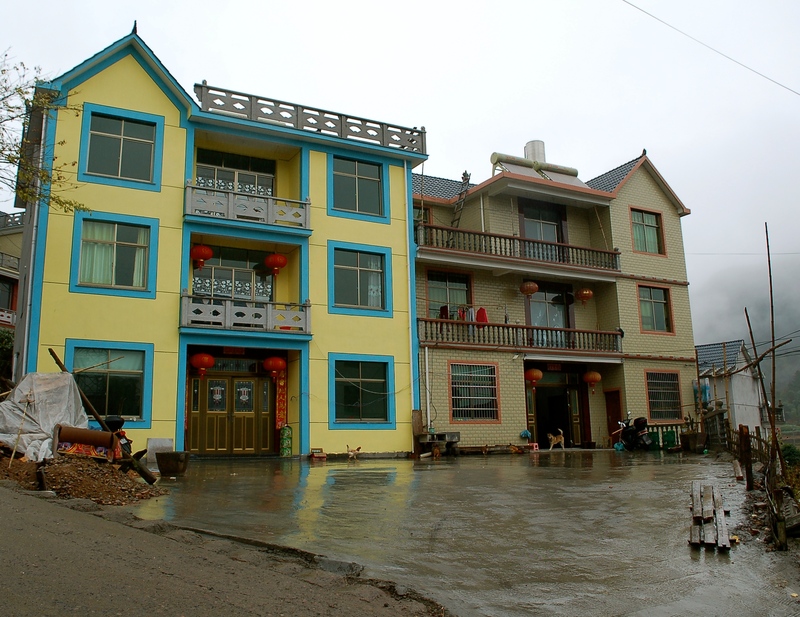 During the colder parts of the year, the village at the lowest altitude will be most popular, and spillover tourists will likewise flow up the mountain. 3. Unified Standards: all the households need to adhere to the same quality standards of accommodation and services to ensure tourists receive an equally pleasant experience, no matter the household they are assigned to. 4. Unified Payment: the payment from the tourists is administered by the nongjiale cooperative association, rather than going directly to the individual households. Just three years ago, the total amount of savings in the local credit cooperative union was only about 18 million yuan ($2.94 million). Now it is about 69 million ($11.3 million), so the villagers have experienced a 20 percent increase in savings. 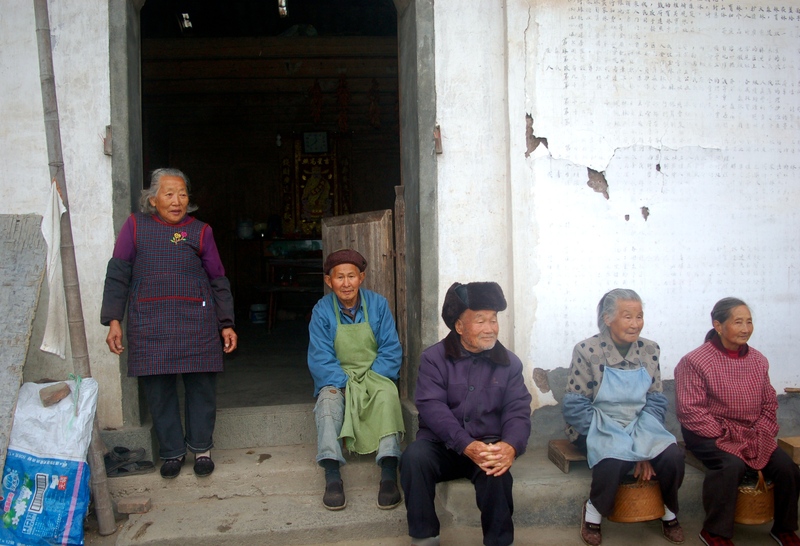 Villagers’ household income has increased by 20,000 to as much as 100,000 Yuan ($3270-$16,300). The ‘Four Unifications’ model, by fostering cooperative community relations over competition, has led Gaoping to become a leader in the tourist industry: as mentioned, the entire Lishui prefecture is now promoting the Gaoping model. This entry was posted in Zhejiang Province and tagged cooperatives, local government, rural China, rural land-use, Suichang, Zhejiang. Bookmark the permalink.